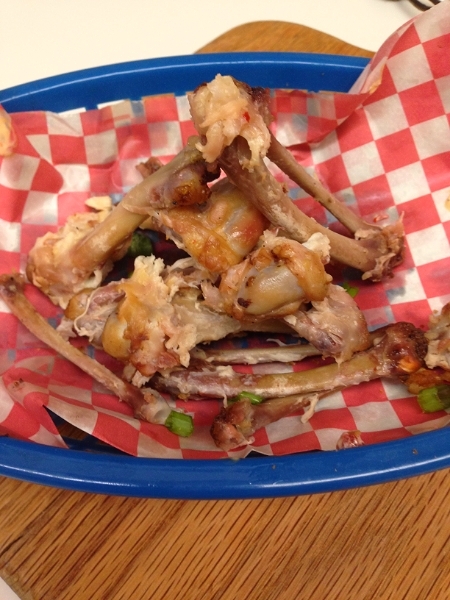 Some of you may know that yesterday was National Chicken Wing Day (7/29/14). If you lived in my house, you would have known for sure. One of my favorite food holidays of the year. What’s not to love? Crispy, bite sized food? You’re expected to use your hands? People don’t frown down on you if you get a bit messy? And most often come with some kind of tasty dipping sauce? Check, check and check. Sounds like the perfect food group to me. I’m always on the look out for a new wing recipe. This time, I used a little influence from growing up in South Texas and a nod to Chris over at NibbleMeThis to come up with my version of fajita chicken wings and a creamy chipotle dipping sauce. A little fusion of Tex-Mex and chicken wings. 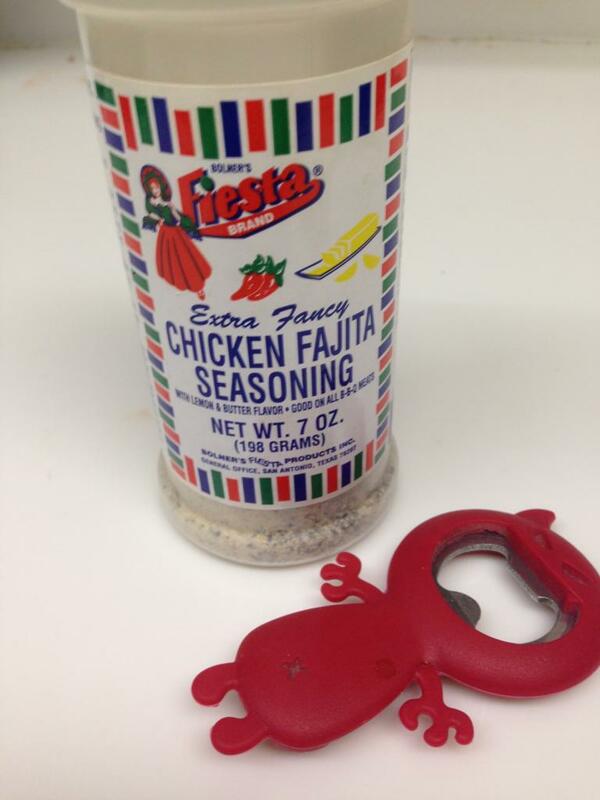 While Chris’s recipe is a little more in depth with more ingredients and a marinade process, I kept mine fairly simple by just using Fiesta Chicken Fajita Seasoning for two reasons. I like the flavor and I find that marinades can prevent the skin on chicken wings from getting crispy. 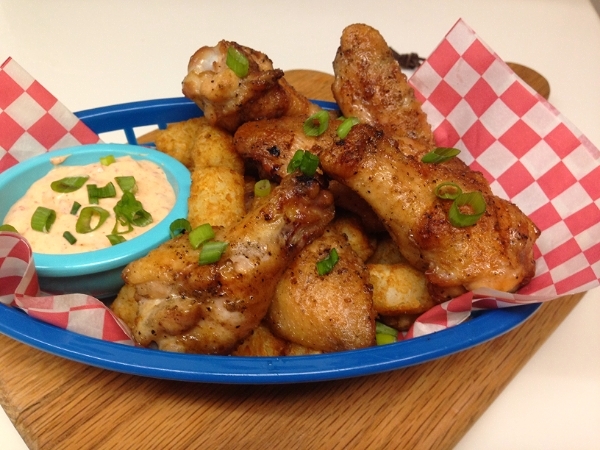 Lightly dust your chicken wings with corn starch (optional – this will help the skin get crispy as it cooks). Then dust the wings with fajita seasoning. Arrange the wings in a single layer on a platter and cookie sheet and place in the fridge for at least an hour and up to 12 hours. This process will allow the wings to air dry and will also help them crisp up. Mix the remaining ingredients in a bowl. Taste and adjust seasonings. Set the bowl in the fridge and allow flavors to marry for an hour or two. Preheat your grill to 400F. If using a Kamado style grill, set it up for a raised direct cook. If using other grills, set it up for a two zone cook (one side with the coals or burners on and one side without) so that you can shuffle the wings back and forth in case of flare ups. 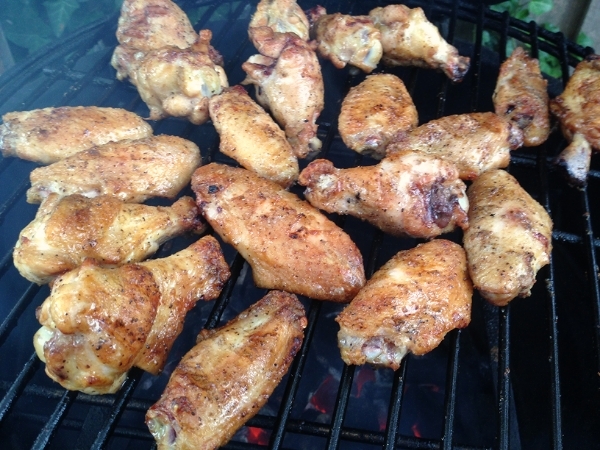 Grill wings for 30 minutes, turning two or three times to ensure even cooking. 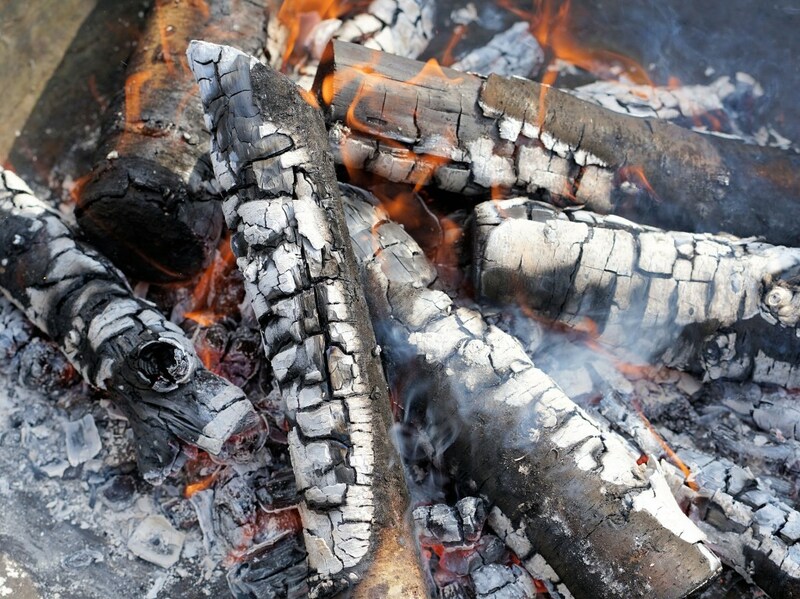 Keep an eye out for flare ups and move wings to the unlit side of the grill if necessary. Wings are safe to eat at 165F, but I usually like to take mine to 175-180 to get that crispy skin. Not to worry. The wings will not dry out. Wings cooking at 400F raised direct. Almost done. I went back and forth on what to serve with my wings. On the one hand, I wanted to keep with the Tex-Mex thing and thought about going with Mexican rice. Maybe some boracho beans. But that would require using a utensil and would counter balance part of the fun of wings…eating with your hands. Or I could just go with one of my other favorite foods…Tater Tots!! Yep, tater tots won out. Wings and tots makes me happy. It’s always interesting to switch things up on wing night. That first bite you expect to get some heat. These wings don’t bring the heat, though. They bring those flavors that you have come to expect from fajitas. Cumin, garlic, onion and a hint of citrus. The Chipotle Dipping Sauce doesn’t serve the same purpose as the normal bleu cheese or ranch that you get with Buffalo Wings. It’s not there to cool off your mouth from the heat from the wings. Most people enjoy their fajitas with sour cream. 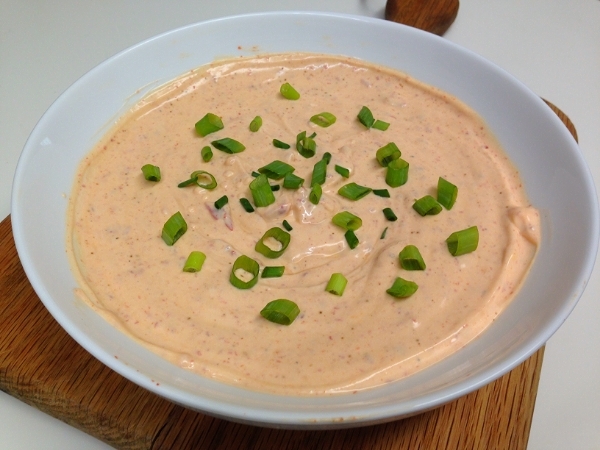 This sauce gives you that sour cream along with the smokiness of the chipotle peppers and some heat from the cayenne and ancho. Completely optional, but it adds that extra dimension to the wings that really set them off. Next time you are thinking about wings, try thinking outside the box. How could other cultures influence your wings and take them to a whole nother playing field? You might surprise yourself. 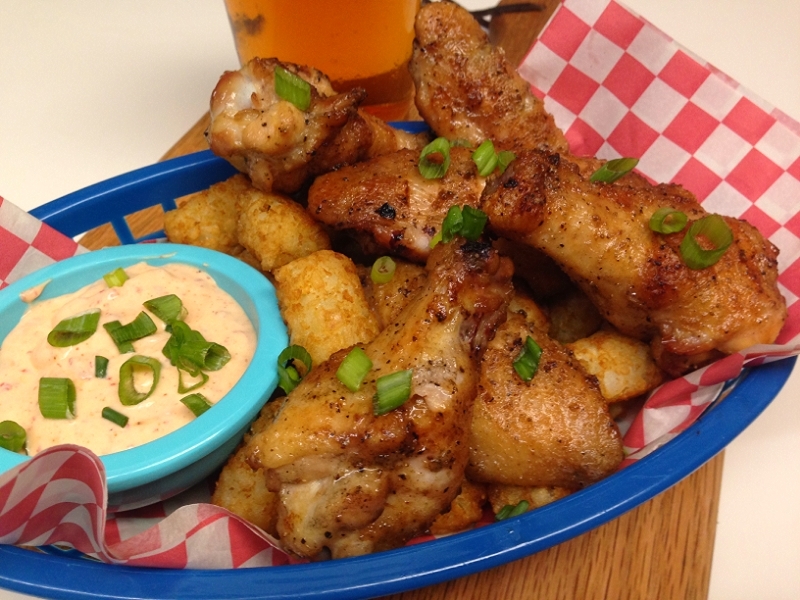 You just might come up with a recipe that replaces Buffalo Wings as your favorite type of wings. Very nice, great recipe for the sauce. Thanks. It’s super simple. Just kinda kept adding things till it got where I wanted it. Apparently I didn’t get the memo about chicken wing day. I’d have been all over that one. Since I missed it, can I just come over to your place for wings and tots? Please? Sorry that memo didn’t reach you in time. I’ll be finishing off the last of it for lunch today. Delicious! A noggin of quiet Red wine really made it sing. Thanks again for a great one. Will try the King Ranch/Mac&Cheese next! I did not know that there was a Natl Chicken wing day … and darn I didn’t even celebrate. I love this flavor idea for wings. And thanks for that tip of dusting with cornstarch. I’ve never done that! Pinned. I like doing something a little different with wings every now and then like that. These sound great, Griff. Thanks Chris. You were the inspiration. I’m always up for a new wing recipe. Probably my favorite part of the chicken right behind the oyster.